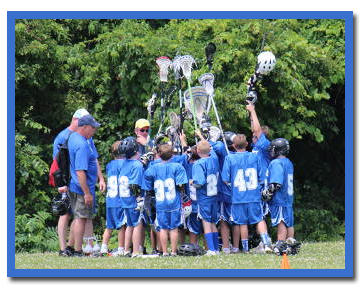 T he Northern Burlington Lacrosse Club was established in 2013 to support and expand upon the Northern Burlington MudDogs lacrosse program. The MudDogs began in 2010 with a team of 3rd and 4th grade boys. Six years later, the program has expanded to more than 190 young athletes. The MudDogs boys program has competitive teams at 5 levels: U15, U13, U11, U9 and U7. The MudDogs teams compete in the South Jersey Youth Lacrosse League. In 2015, the Northern Burlington Lacrosse Club expanded to offer competitive teams for girls! In the 2016 season, the girls program has competitive teams at the U13, U11 and U9 levels. The NBLC players are from Chesterfield, Mansfield, North Hanover, Springfield, Bordentown and surrounding areas which do not have a local lacrosse program.